...he moved closer and slowly ran the point of his blade along my jaw line as he spoke softly, intimately, to me. “So, you are Trent’s woman. Now that is very...appealing.” I glared back at him silently. There are testing times ahead for Grayson and Trent as trouble threatens Melton Manor. 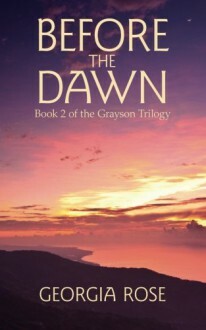 When an attack is made against those on the estate, Grayson gets caught in the middle finding herself and those around her in terrible danger. Terrified when she thinks tragedy has struck again she fights to protect those she now views as family and, suffering bloodshed and pain, confronts her fears – both brought by the enemy and by the one she loves.